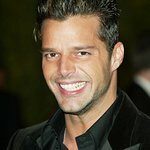 Sultry Latino pop star Ricky Martin will hit the streets of Washington DC today, April 29, to raise awareness of human rights issues. The singer’s Llama y Vive campaign, which is part of the International Organization for Migration, will hold an event at the Inter-American Development Bank headquarters on New York Avenue at 11am to launch “Call and Live”, an initiative that promotes an anti-trafficking hotline for human trafficking prevention and victim protection. The campaign aims to reach 100,000 Latinos in the D.C. area with prevention messages about human trafficking, and provide access to legal and social services for victims through a Spanish-language hotline. Call and Live has been implemented in Costa Rica, Dominican Republic, Peru and Nicaragua, where it has triggered more than 55,000 relevant calls to the national hotlines, 60 police investigations, and the rescue of at least a dozen victims. Martin, a Goodwill Ambassador to UNICEF and five time Grammy Winner, established the Ricky Martin Foundation to advocate for the welfare of children around the world.